GURUDWARA BANGLA SAHIB – All About India ! ABOUT : It is one of the most prominent Sikh Gurudwara in Delhi associated with the Guru Har Kishan (known as the eighth Sikh Guru). It is on the 1st rank in the list of tourist places in Delhi. Gurudwara Bangla sahib was originally known as the Jaisinghpura Palace where Raja Jai Singh used to live. During the period of Raja Jai singh, Guru Har Kishan resided there in 1664 (in 17th century), during that time the people of delhi were suffering from cholera and smallpox and Guru Har Kishan helped people to eradicate the disease by giving them aid and fresh water from the well (situated inside the palace), it was beleived that the water of well has healing properties. Guru Har Kishan eventually died on 30th march, 1664 and later a small tank was built by the Raja over the well and after the death of the Raja, the palace then converted into a small shrine in 1783 in the supervision of Sikh General Sardar Bhagel Singh and later the place then converted into one of the big Sikh Gurudwaras and now it is known as one of the best tourist places in Delhi. Sarovar – The most attractive part of the Gurudwara Bangla Sahib is the Lake known as Sarovar, the water of this sarovar is believed to have healing properties and is known as amrit. People go there to wash their body to get rid from all type of diseases. The length and breadth of the sarovar is 225 ft * 235 ft, many fish resides in the pool, normally people sit around the lake and get some rest. Peace of Soul – There is a big hall inside the Gurudwara where Granthi (Bhaiji of Gurudwara) reads the Gurbani, people go there to find the peace of soul. People cover their head before enter the hall and do Ardas of God by sit inside. There is a magic in the Hall of Gududwara, when u will enter inside the hall then you will feel the peace automatically. Many people find peace by doing help in the Gurudwara as a volunteer. Langar (Prasad) – Gurudwara Bangla Sahib has a separate kitchen where free food in the form of prasad is served to about 10,000 people everyday. There is a big hall where people sit and eat the sacred langar which consist of chapati (prasada), dal, sabzi and kheer. Many Sikh along with the volunteers (who want to help from their heart) make this langar. 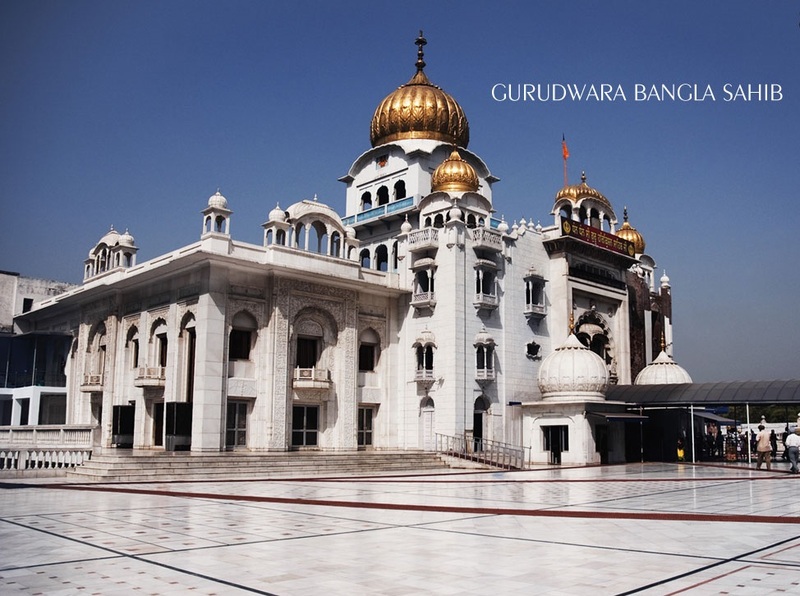 Gurudwara Bangla Sahib is open for all, people of any religion can go there and can do worship of god. Next “Delicious+Yummy+pocket friendly” food spots in Delhi !